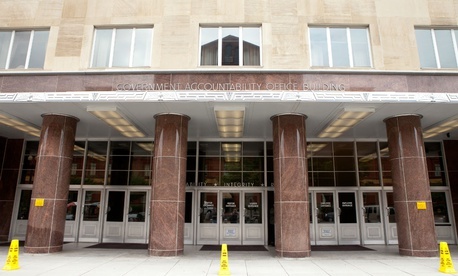 As Congress’s nonpartisan auditing arm, the Government Accountability Office for nearly a century has enjoyed access to agencies’ staffs for interviews and documents that facilitate the watchdog’s work evaluating spending and programs. But in two recent reports, sober-toned GAO narrators described how Trump administration officials took the unusual step of declining to be interviewed or to respond to auditors’ draft findings. Asked for a reaction on Tuesday, an EPA spokesman told Government Executive, "We continue to study and examine climate change, and we will review the GAO report." When the presidential transition report came out, several members of Congress were outraged at the Trump team’s short-changing of GAO, calling the practice unheard-of. "It is outrageous that President Trump's transition team and Vice President Pence's office in the White House would not even speak to the nonpartisan auditors at GAO about the way taxpayer funds were spent during the transition," read the statement from Rep. Elijah Cummings, D-Md., the ranking member of the House Oversight and Government Reform Committee who requested the report. "The refusal to cooperate with GAO fits the pattern we have seen from this White House of secrecy and a lack of accountability." GAO’s enabling legislation goes back to the 1921 Budget and Accounting Act and threads through updated audit-related laws in 1945, 1950, 1970, 1974, 1984, 1990 and 1994. It began with a broad role of investigating “all matters relating to the receipt, disbursement, and application of public funds” and to “make recommendations looking to greater economy or efficiency in public expenditures,” its website says. Such authority was later expanded to include audits of financial statements, program evaluation and contractor protests. Resistance to GAO demands has been mounted by the Navy (over procurement issues) and the CIA (over who performs national security oversight) in the form of incomplete delivery of documents, noted Don Kettl, professor of public policy at the University of Maryland and a scholar at the Brookings Institution. GAO’s authority to demand records from national security agencies and regulators would have been strengthened in a 2008 bill passed only by the House. “But, a decision not to cooperate invariably attracts attention,” Kettl said. “It always leads to questions like, ‘What are they trying to hide?’ And it often generates raised eyebrows on Capitol Hill, even among members of the president’s own party. Even some Republicans in Congress are restive about what they view as the [Trump] administration’s secrecy and lack of transparency, including about the restructuring programs under review,” Kettl added. Ed DeSeve, who served as OMB’s deputy director for management under the Clinton administration and led a 2016 initiative on presidential transition for the National Academy of Public Administration, told Government Executive that “the single most important thing any presidential appointee can do is establish a fair and open relationship with GAO. It’s extremely important because even though they will have a different point of view,” the result is a process that enables GAO and the agency to provide information and answer questions. Though DeSeve is not currently familiar with the White House handling of GAO, resistance “certainly happens department by department, when one gets an adverse report and simply reacts by not responding,” he said.